MONTANDON – As you start thinking about the upcoming holiday season, we hope you will consider giving to those less fortunate this year. 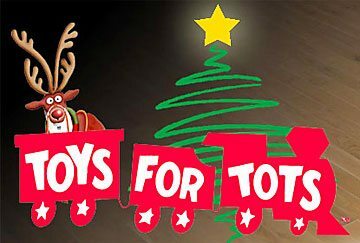 T-Ross Brothers Construction Inc. is proud to announce we will be a drop-off location for Toys for Tots this year. Aside from monetary donations over the years, T-Ross Brothers decided they wanted to also collect toys, which will be given to local families in need this holiday season. Local Marine Corp Toys for Tots collection campaigns begin across the country in October. Toys for Tots drop boxes are located in over 700 communities covering all 50 states, the District of Columbia and Puerto Rico. Members of the community can drop off new unwrapped toys in those collection boxes. You can drop off toy donations at T-Ross Brothers Construction in October, November and early December. The toys are then picked up and stored in a local warehouse where they are sorted by age. At Christmas, Toys for Tots coordinators are assisted by local church groups, non-profit agencies and community agencies to deliver the toys to children in need here in the Susquehanna Valley. The post T-Ross Brothers Construction is a drop-off location for Toys for Tots appeared first on T-Ross Brothers Construction, Inc..